Yolande Cornelia “Nikki” Giovanni Jr., born in Knoxville, Tennessee, is a world-renowned poet, writer, commentator, activist, and educator. Over the past thirty years, Giovanni’s outspokenness, in both her writing and in person, has brought the eyes of the world upon her. One of the most widely read American poets, she prides herself on being “a Black American, a daughter, a mother, a professor of English.” Giovanni remains as determined and committed as ever to the fight for civil rights and equality. Always insisting on presenting the truth as she sees it, she has maintained a prominent place as a strong voice of the Black community. Her focus is on the individual, specifically on the power one has to make a difference in oneself and thus in the lives of others. 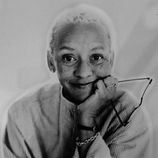 Nikki Giovanni has written more than two dozen books, including volumes of poetry, illustrated children’s books, and three collections of essays. Her book Racism 101 includes bold, controversial essays about the situation of Americans on all sides of various race issues. She has received twenty-one honorary doctorates and a host of awards, including “Woman of the Year” awards from three different magazines, Ebony in 1970, Mademoiselle in 1971, and Ladies’ Home Journal in 1971, as well as Governors’ Awards in the Arts from both Tennessee and Virginia. Her three most recent volumes of poetry, Love Poems; Blues: For All the Changes; and Quilting The Black-Eyed Pea: Poems and Not Quite Poems; were winners of NAACP Image Awards in 1998, 2000, and 2003 respectively. Since 1987, she has taught writing and literature at Virginia Tech, where she is a University Distinguished Professor. As a devoted and passionate writer, teacher, and speaker, she inspires not only her students but also readers and audiences nationwide. The Nikki Giovanni Poetry Collection, a spoken-word CD, was nominated for a 2003 Grammy Award. In 2005, Nikki Giovanni was selected by Oprah Winfrey as a member of an elite group of African American women who have strongly inspired American culture, the arts, and Winfrey herself as leaders, or “legends” in their time. Giovanni’s book with Candlewick Press on the impact of the spirituals, On My Journey Now, was published in March 2007.